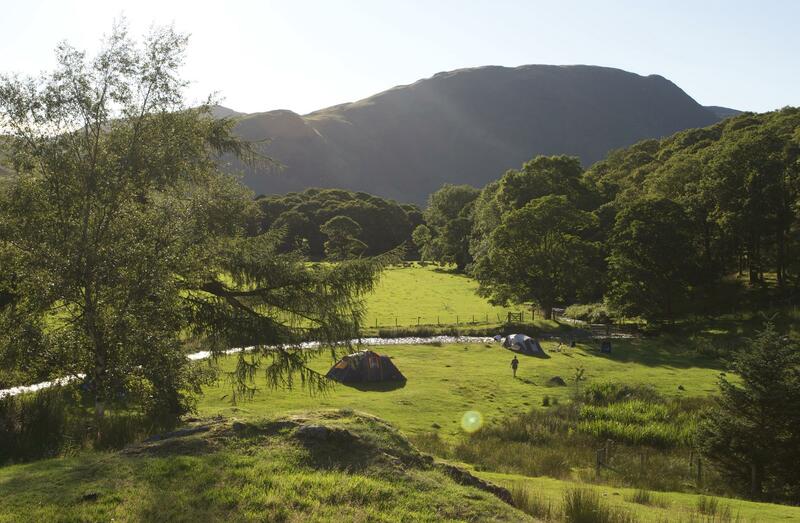 The pretty Borrowdale valley is a great base for a Lake District camping or glamping holiday. 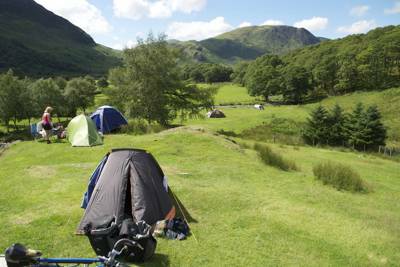 So, whether you fancy hiking up Dale Head, enjoying the views from Great Gable or bracing yourself for a wild swim in Watendlath Tarn, get outside and breathe in the fresh air and remarkable beauty of the Lake District National Park with this collection of incredible campsites near Borrowdale. The renowned fell walker and guidebook writer Alfred Wainwright declared Borrowdale “the fairest of all the Lake District’s valleys” and we can’t disagree. This beautiful part of the England’s largest national park stretches from the southern end of Derwentwater to the foot of Scafell Pike. 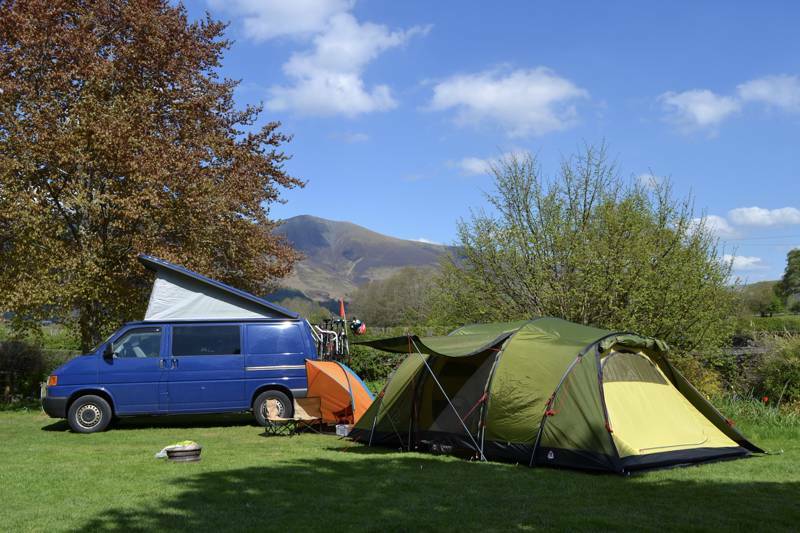 From here, it’s a short drive over the Honister Pass to Buttermere and a long walk over the fells to Grasmere and, in the opinion of the Cool Camping experts, one of the best places for a camping or glamping holiday. Clear running streams and becks are surrounded by classic Lake District scenery of farmland, stone walls, crags and peaks. 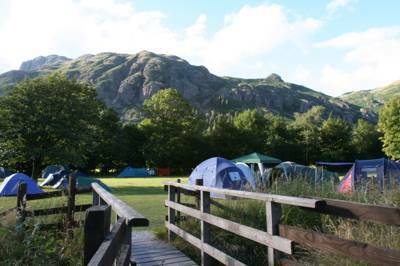 There are plenty of campsites right across the Lake District and we’ve picked out the very best of them for your perusal. 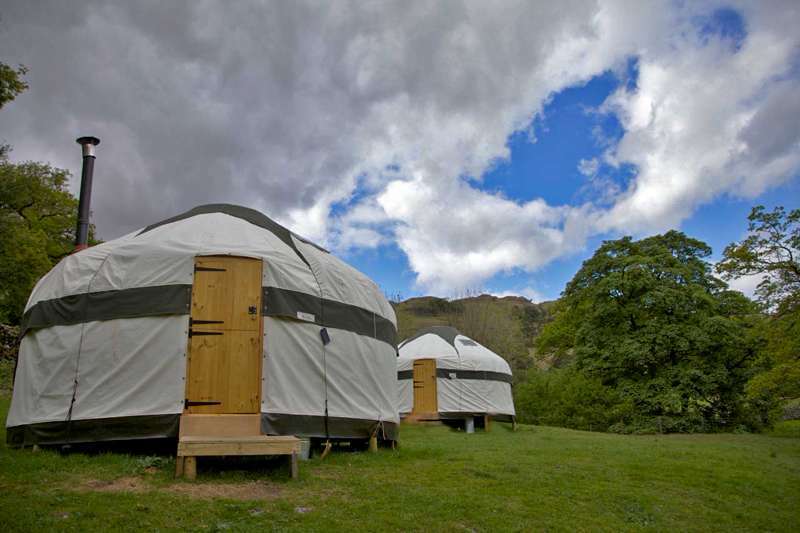 Whether you’re looking for a place to pitch a tent or park a campervan or fancy giving glamping in a yurt, pod, cabin or shepherd’s hut a try, take your pick from our selection of camping and glamping in Borrowdale. Borrowdale is a great base for long-distance walkers, hikers, fell runners and climbers, surrounded as it is by high fells. 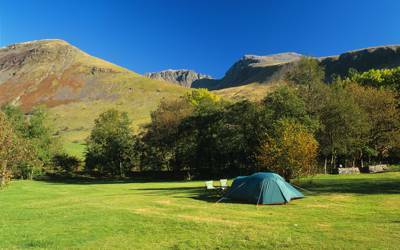 Your camping or glamping site hosts should be able to advise you of the best walks close to your campsite and the valley is one of two main base camps for people hoping to tackle England’s highest peak, Scafell Pike. Setting off from Seathwaite takes you on a ten-mile route past Sty Head Tarn to the summit cairn. Make sure you take a look at the National Trust’s advice before setting off. There are easy paths to follow for a walk around Derwentwater and you can cruise across the lake with Keswick Launch Co too. On the northern side of the lake is the bustling market town of Keswick with its outdoor shops, eateries and the famous Derwent Pencil Museum. Other things to do in the local area include heading over the Honister Pass towards Buttermere, perhaps stopping off for a look at Honister Mine. It’s England’s only working slate mine with added attractions for the daring; the fixed ropes of its Via Ferrata make climbing accessible even for the inexperienced. For more information on things to do in the area, visit the Lake District National Park website. Dale Head Great Gable Watendlath Tarn Lake District Borrowdale campsites camping campervanning caravanning holiday parks at Borrowdale Camping, Whether it's hiking up Dale Head and Great Gable or wild swimming in Watendlath Tarn, get outside and embrace the best of the Lake District National Park with this collection of incredible campsites in and around Borrowdale.